Because of His Atonement, the Savior has the power to succor—to help—every mortal pain and affliction. In mortality we have the certainty of death and the burden of sin. The Atonement of Jesus Christ offsets these two certainties of mortal life. But apart from death and sin, we have many other challenges as we struggle through mortality. Because of that same Atonement, our Savior can provide us the strength we need to overcome these mortal challenges. That is my subject today. Most scriptural accounts of the Atonement concern the Savior’s breaking the bands of death and suffering for our sins. In his sermon recorded in the Book of Mormon, Alma taught these fundamentals. But he also provided our clearest scriptural assurances that the Savior also experienced the pains and sicknesses and infirmities of His people. Alma described this part of the Savior’s Atonement: “And he shall go forth, suffering pains and afflictions and temptations of every kind; and this that the word might be fulfilled which saith he will take upon him the pains and the sicknesses of his people” (Alma 7:11; also see 2 Nephi 9:21). Why did He suffer these mortal challenges “of every kind”? Alma explained, “And he will take upon him their infirmities, that his bowels may be filled with mercy, according to the flesh, that he may know according to the flesh how to succor his people according to their infirmities” (Alma 7:12). Our Savior experienced and suffered the fulness of all mortal challenges “according to the flesh” so He could know “according to the flesh” how to “succor [which means to give relief or aid to] his people according to their infirmities.” He therefore knows our struggles, our heartaches, our temptations, and our suffering, for He willingly experienced them all as an essential part of His Atonement. And because of this, His Atonement empowers Him to succor us—to give us the strength to bear it all. While Alma’s teaching in the seventh chapter is the single clearest of all the scriptures on this essential power of the Atonement, it is also taught throughout holy writ. At the beginning of His ministry, Jesus explained that He was sent “to heal the brokenhearted” (Luke 4:18). The Bible often tells us of His healing people “of their infirmities” (Luke 5:15; 7:21). The Book of Mormon records His healing those “that were afflicted in any manner” (3 Nephi 17:9). The Gospel of Matthew explains that Jesus healed the people “that it might be fulfilled which was spoken by Esaias the prophet, saying, Himself took our infirmities, and bare our sicknesses” (Matthew 8:17). Isaiah taught that the Messiah would bear our “griefs” and our “sorrows” (Isaiah 53:4). Isaiah also taught of His strengthening us: “Fear thou not; for I am with thee: be not dismayed; for I am thy God: I will strengthen thee; yea, I will help thee” (Isaiah 41:10). Speaking of some of his own mortal challenges, the Apostle Paul wrote, “I can do all things through Christ which strengtheneth me” (Philippians 4:13). What are these mortal pains and afflictions and infirmities that our Savior experienced and suffered? We all have pains and afflictions and infirmities at one time or another. Apart from what we experience because of our sins, mortality is filled with frequent struggles, heartaches, and suffering. We and those we love suffer sickness. At some time each of us also experiences pain from traumatic injuries or from other physical or mental difficulties. All of us suffer and grieve in connection with the death of a loved one. We all experience failure in our personal responsibilities, our family relationships, or our occupations. When a spouse or a child rejects what we know to be true and strays from the path of righteousness, we experience particularly stressful pain, just like the father of the prodigal son in Jesus’s memorable parable (see Luke 15:11–32). As the Psalmist declared, “Many are the afflictions of the righteous: but the Lord delivereth him out of them all” (Psalm 34:19). Thus, our hymns contain this true assurance: “Earth has no sorrow that heav’n cannot cure.”5 What cures us is our Savior and His Atonement. 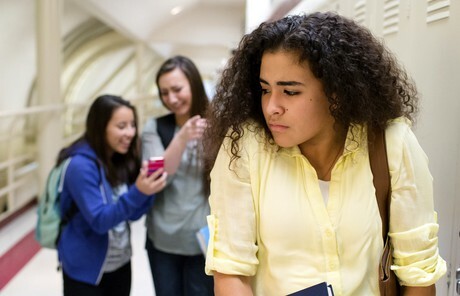 Particularly poignant for teenagers is the feeling of rejection when peers seem to join in happy relationships and activities and deliberately leave them out. Racial and ethnic prejudices produce other painful rejections, for youth and adults. Life has many other challenges, such as unemployment or other reverses in our plans. I am still speaking of mortal infirmities not caused by our sins. 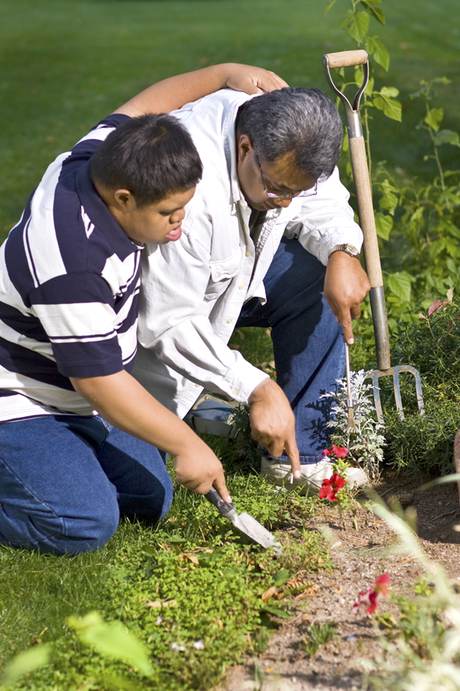 Some are born with physical or mental disabilities that cause personal suffering for them and struggles for those who love and care for them. 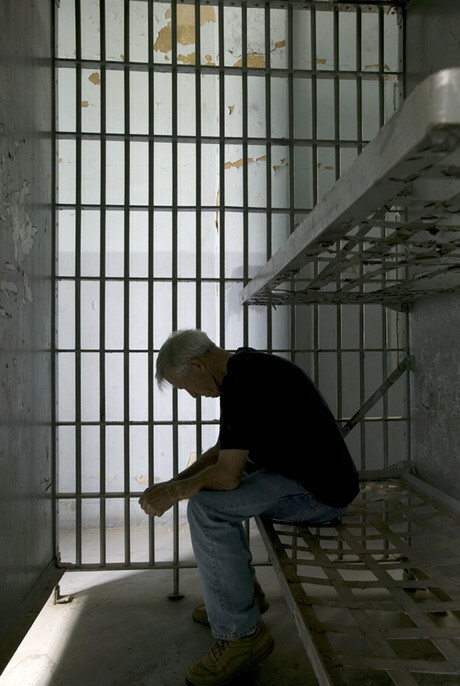 For many, the infirmity of depression is painful or permanently disabling. Another painful affliction is the circumstance of singleness. Those who suffer this circumstance should remember that our Savior experienced this kind of pain also and that, through His Atonement, He offers the strength to bear it. Who can be succored and strengthened through the Atonement of Jesus Christ? Alma taught that the Savior would “take upon him the pains and the sicknesses of his people ” and “succor his people ” (Alma 7:11, 12; emphasis added). Who are “his people” in this promise? Is it all mortals—all who enjoy the reality of resurrection through the Atonement? Or is it only those select servants qualified through ordinances and covenants? The word people has many meanings in the scriptures. The meaning most appropriate for the teaching that the Savior will succor “his people” is the meaning Ammon employed when he taught that “God is mindful of every people, whatsoever land they may be in” (Alma 26:37). That is also what the angels meant when they announced the birth of the Christ child: “Good tidings of great joy, which shall be to all people” (Luke 2:10). Because of His atoning experience in mortality, our Savior is able to comfort, heal, and strengthen all men and women everywhere, but I believe He does so only for those who seek Him and ask for His help. The Apostle James taught, “Humble yourselves in the sight of the Lord, and he shall lift you up” (James 4:10). We qualify for that blessing when we believe in Him and pray for His help. There are millions of God-fearing people who pray to God to be lifted out of their afflictions. Our Savior has revealed that He “descended below all things” (D&C 88:6). As Elder Neal A. Maxwell taught, “Having ‘descended below all things,’ He comprehends, perfectly and personally, the full range of human suffering.”8We might even say that having descended beneath it all, He is perfectly positioned to lift us and give us the strength we need to endure our afflictions. We have only to ask. Many times in modern revelation, the Lord declares, “Therefore, if you will ask of me you shall receive; if you will knock it shall be opened unto you” (for example, D&C 6:5; 11:5; see also Matthew 7:7). Indeed, because of Their all-encompassing love, our Heavenly Father and His Beloved Son, Jesus Christ, hear and suitably answer the prayers of all who seek Them in faith. As the Apostle Paul wrote, “We trust in the living God, who is the Saviour of all men, specially of those that believe” (1 Timothy 4:10). I know these things to be true. Our Savior’s Atonement does more than assure us of immortality by a universal resurrection and give us the opportunity to be cleansed from sin by repentance and baptism. His Atonement also provides the opportunity to call upon Him who has experienced all of our mortal infirmities to give us the strength to bear the burdens of mortality. He knows of our anguish, and He is there for us. Like the good Samaritan, when He finds us wounded at the wayside, He will bind up our wounds and care for us (see Luke 10:34). The healing and strengthening power of Jesus Christ and His Atonement is for all of us who will ask. I testify of that as I also testify of our Savior, who makes it all possible. One day all of these mortal burdens will pass away and there will be no more pain (see Revelation 21:4). 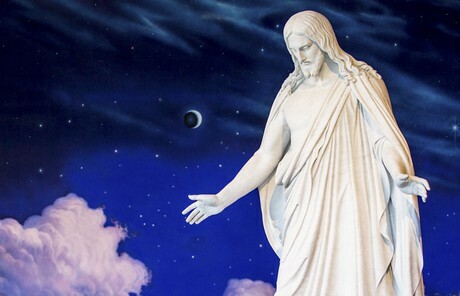 I pray that we will all understand the hope and strength of our Savior’s Atonement: the assurance of immortality, the opportunity for eternal life, and the sustaining strength we can receive if only we will ask, in the name of Jesus Christ, amen. Boyd K. Packer, “The Savior’s Selfless and Sacred Sacrifice,” Ensign, Apr. 2015, 40; Liahona, Apr. 2015, 38. James E. Faust, “The Atonement: Our Greatest Hope,” Ensign, Nov. 2001, 20; Liahona, Jan. 2002, 22. See, generally, Jeffrey R. Holland, Christ and the New Covenant: The Messianic Message of the Book of Mormon (1997), 223–34; David A. Bednar, “The Atonement and the Journey of Mortality,” Ensign, Apr. 2012, 40–47; Liahona, Apr. 2012, 12–19; Bruce C. Hafen and Marie K. Hafen, “‘Fear Not, I Am with Thee’: The Redeeming, Strengthening, and Perfecting Blessings of Christ’s Atonement,” Religious Educator,vol. 16, no. 1 (2015), 11–31, especially 18–25; Tad R. Callister, The Infinite Atonement(2000), 206–10. “Come, Ye Disconsolate,” Hymns, no. 115. From a 2014 letter received by Bishop Bobby O. Hales, who oversees the Henry Branch of the Central Utah Correctional Facility. Neal A. Maxwell, “Apply the Atoning Blood of Christ,” Ensign, Nov. 1997, 23. Previous Previous post: Ako na Parang….